If the Antichrist is alive today, can we identify him already? 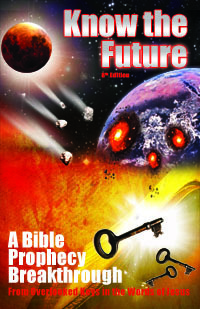 I posted to my website my favorite research article explaining just how to do that from Revelation 13’s literal clues. I’m speaking of the counting of 666 off of his name and knowing where to look for the strange beast coming out of the earth who represents him. These things are surprisingly literal (just as I have found over the years is the case with the rest of Revelation). Read here yourself to find out who is the Antichrist.